JONES BEACH (WABC) -- Come fly with us at the 2016 Bethpage Air Show at Jones Beach State Park as we take you for a 360 ride in the sky! 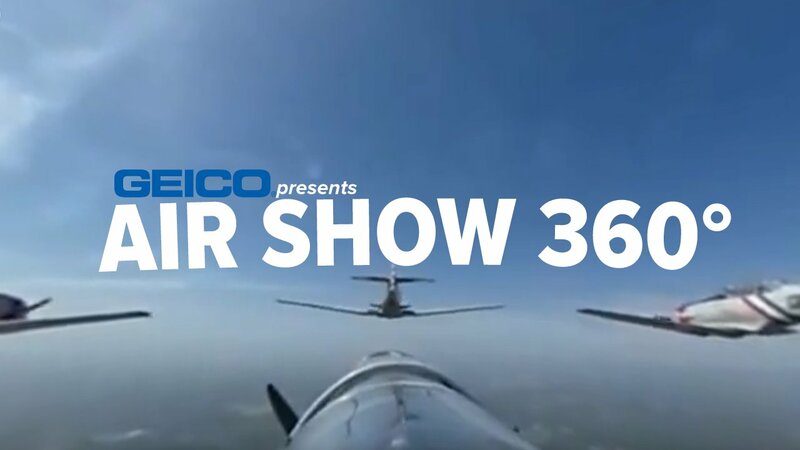 In our first videos shot using the Ricoh Theta, we ride along with the World Famous GEICO Skytypers Airshow Team - a flight squadron of six vintage WWII aircraft that perform precision flight maneuvers. You must view the 360 video on a Chrome or Firefox browser, or visit our YouTube channel www.youtube.com/c/abc7ny. In the video below, we go flying in 360 with aerobatic pilot David Windmiller. Learn more about the Bethpage Air Show by clicking here!